The consumer electronics industry is dominated by American and Asian companies. Giants like Samsung, Sharp, Philips, Honeywell, Panasonic lead the way. In addition, there’s another name you would not have heard of probably would be Coway. 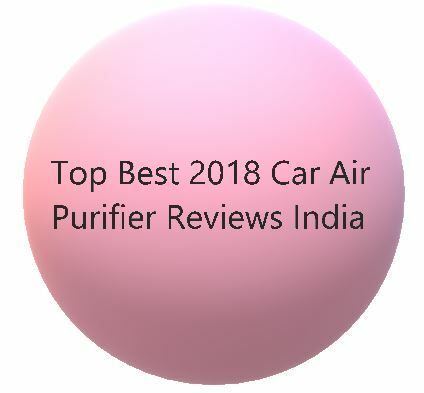 Coway air purifiers are among the world’s best. 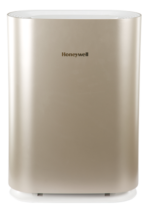 A korean company, Coway air purifiers have garnered very good reviews. In this Coway Air Purifier Review AP-1009 , we discuss the most important features of it. The Coway AP-1009 air purifier has all the features which make up a modern Air purifier. The USP is the super silent operation. You can hardly notice its ON. The Coway AP-1009 air purifier has cute looks and attractive white body. 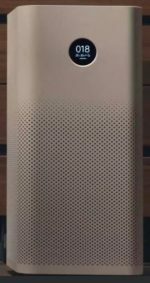 The design has an uncanny resemblance to the Philips AC4072 air purifier. With a roundish body the Coway AP-1009 would add to your room’s aesthetics. 355 sq. ft / 33 sq. mtrs. This makes the Coway AP-1009 suitable for Large Bedroom, Kitchen and Drawing rooms. 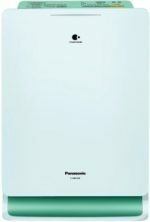 The Coway AP-1009 employs 3 Stage Filtration Process. The first layer through which the outside air passes through is the Pre Filter. The pre-filter stops the larger particles from clogging the inner filter layers. The pre-filter is washable and should be cleaned frequently to improve air purifiers’ effectiveness. The second layer is the Patented Urethane Carbon Filter. As you would already know that activated carbon removes gaseous impurities in the air easily. Hence, it can also deodorizes the air with 98% Efficiency. The third and final layer is the quintessential Tue HEPA Filter. 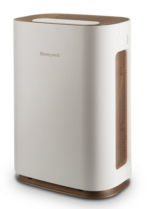 A true HEPA filter can remove particles as small as PM2.5, even PM0.3. A HEPA filter qualifies as True HEPA only if lessser than 0.7% particles can avoid being arrested by the filters. You can make a selection from 4 fan speed presets. Speed levels 1,2 and 3 and a turbo mode. The turbo mode speed is the highest. Use it to quickly remove pollutants at the cost of more noise. 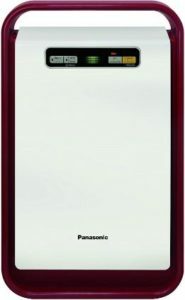 The Coway AP-1009 does not emit any ozone gas. The operation is really silent at low speeds. The minimum noise level is only 22 dB. The maximum noise level stands at 49 dB. The only downside is the absence of a numerical reading based AQI. Nowadays many air purifiers are available with digital real-time AQI. Consider the MI Air Purifier 2S or the Philips AC2887 Air purifiers. This Coway AP-1009 Air Purifier Review lists out its most discerning feature set. The air purifier is definitely a breath of fresh air- literally! Pleasing looks, silent operation and effective air cleaning can be taken for granted. The cost may be on the higher side. All in all, minus the higher price; the Coway AP-1009 is a serious buying option.